When you source a candidate, they're automatically added to the Sourced stage. When you request an introduction, they're automatically moved to the Intro Requested stage. 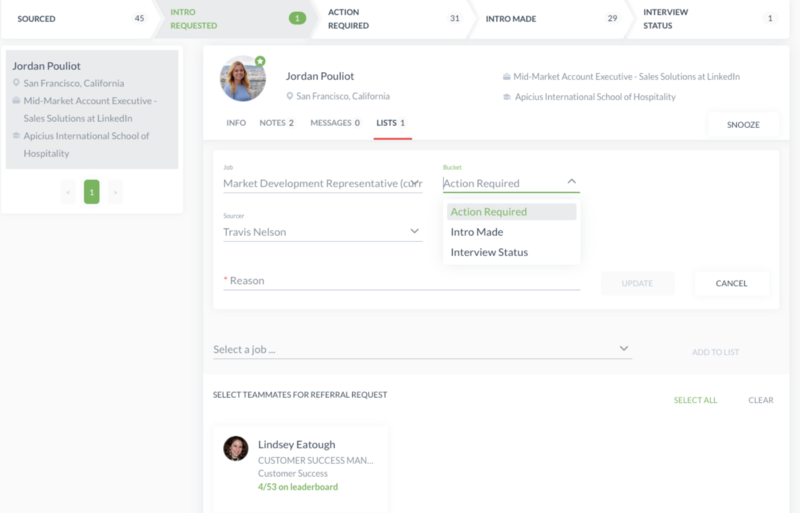 When an employee doesn't respond within 7 days, they move to the Action Required stage. You can also manually change the stage of any candidate, by clicking on the Lists tab and changing the stage and clicking the 'Update' button. Figure One: Manually changing the stage. This can be useful, for example, whenever an employee reaches out to let you know that he or she has contacted someone outside of Teamable.